Buy Colonial Coins Ebay Auctions ENDING NOW at ebay! U.S Colonial Coins date from 1615 through 1773 and there's date crossovers. The Colonial Coins in the best condition are worth the most and our already in collections, but some do come up for auction. However, a lot of these issues are pitted and damaged, especially the coins found in the ground by metal detectors. So the values of environmental and pitted coins is less than the listed values. 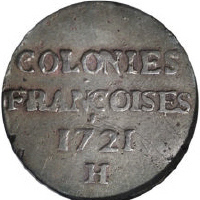 In my opinion all Colonial coins that have great details but might be damaged or pitted, should be sent to ANACS, PCGS or NGC. It's better to get a net genuine grade then selling them raw. If you need help with identifying a coin or finding our its value then post an image here Coin Forum It's free to join and we will go out of our way to help you with your coin's condition, grade and value. U.S. Colonial and U.S. Post Colonial Coins are often discovered by metal detecting. 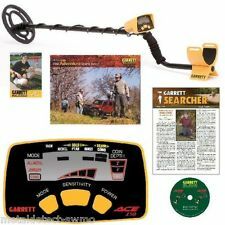 You never know what you might find in the ground with a metal detector and most don't know what they found. These coin images will help you identify and value the coin you found, but as stated above, a "dug" coin will have environmental damage which decreases it's value. However, this should not take the fun out of finding something no has touched in a couple hundred years. Many people find Colonial Era coins using metal detectors.